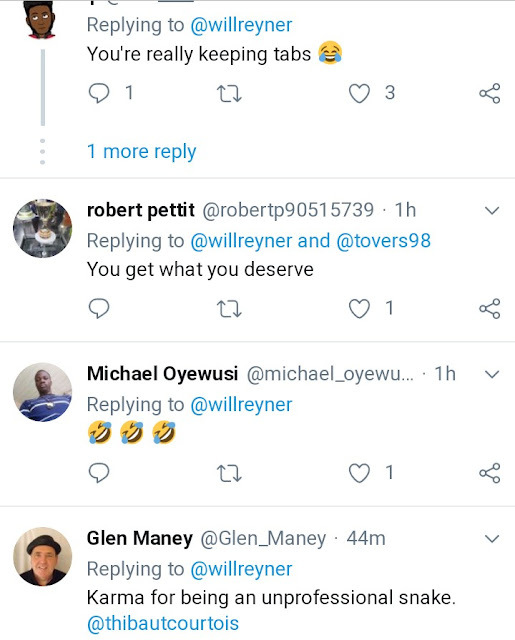 Thibaut Courtois appears to have either been cursed since he left Chelsea last summer. 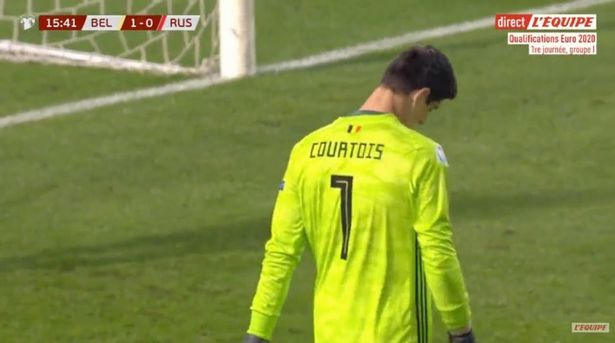 Real Madrid keeper Courtois added another clanger to his collection this season during Belgium's Euro 2020 qualifier against Russia on Thursday night. The World Cup semi-finalists had gone ahead in Brussels when Leicester star Youri Tielemans opened the scoring in the 15th minute. 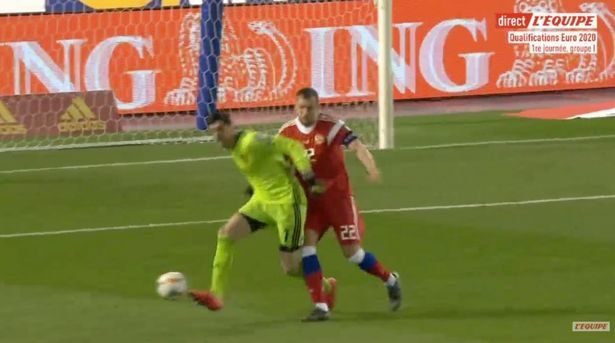 A minute later Courtois gifted the Russians an equaliser. Jan Vertonghen rolled a simple back pass to Courtois, which the shot stopper comfortably controlled on his six-yard box and dribbled gently forward in his area. But his lackadaisical possession of the ball failed to notice Artem Dzyuba steaming in behind him to nick in and steal the ball. A panicked Courtois noticed the big striker too late and attempted a clearance but a slight nudge in his back forced him to scuff straight to Denis Cheryshev. The Valencia ace kept his cool to hurdle a desperate lunge from Courtois to slot into an empty net. It wasn't Courtois' first mistake of the season. The former Atletico Madrid ace has been branded Real's "worst signing in history" with unsteady appearances against Eibar and Ajax to name just two poor performances. In fact in the 24 appearances he has made, Courtois has shipped 30 goals - and kept just eight clean sheets. 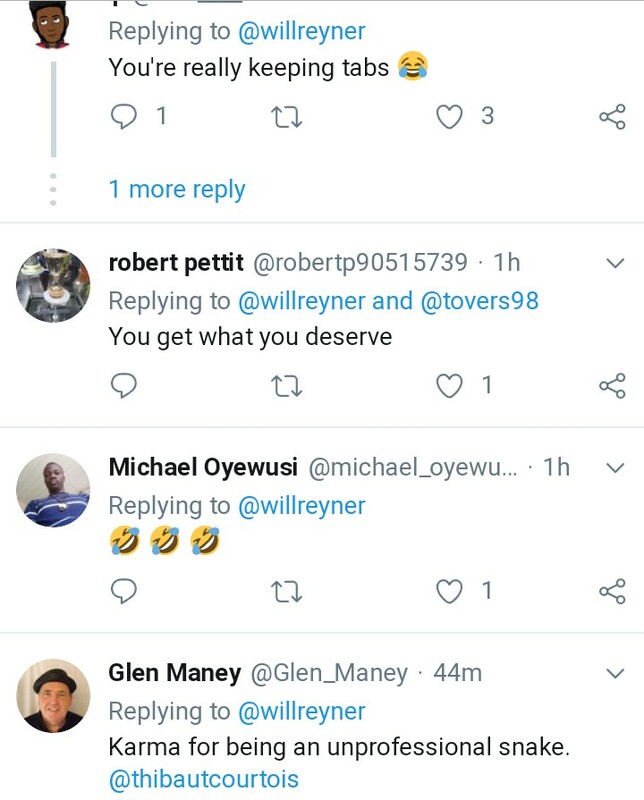 He was even blamed as one of the reasons Santiago Solari was sacked earlier this month - with the former boss sticking with Courtois. Solari's replacement Zinedine Zidane was quick to ditch him though, with the France legend dropping him for his return to the Real dugout - with Keylor Navas replacing him. 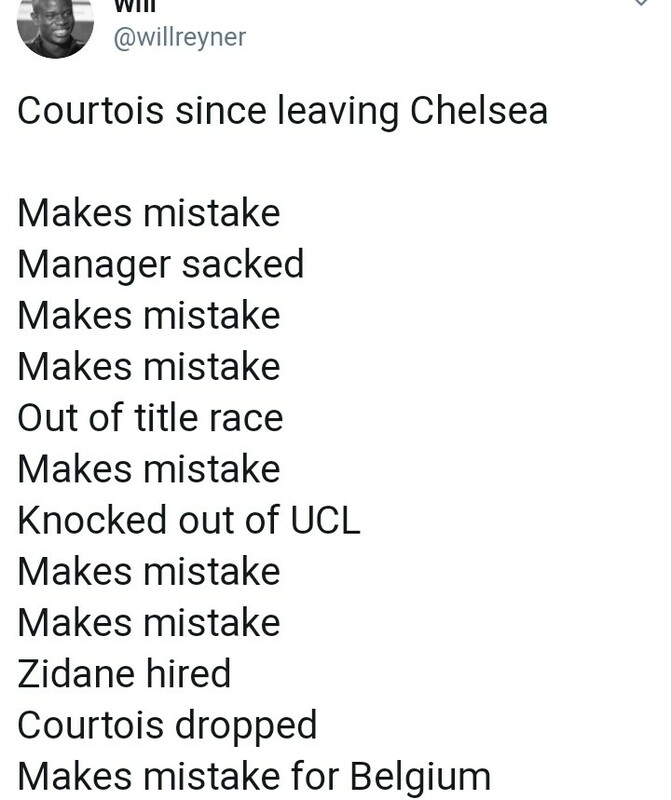 All this has been hilarious to Chelsea fans who saw Courtois force a move out of Stamford Bridge last summer. 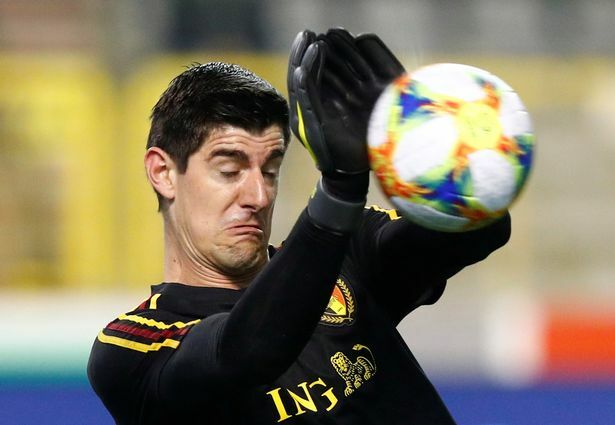 Courtois reportedly refused to train with the Blues after returning from the World Cup and eventually moved to the Spanish capital for £35m.